Unlike some companies, we don’t make money selling books and tapes to people telling them how much money they can make as note brokers. Every experienced note broker knows there are already too many note brokers out there chasing too few mortgages for sale. But we do offer free tools to help make your note buying business a success. Spend less than 10 minutes to get more business! 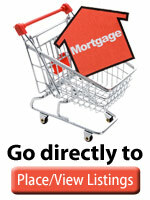 Sign-up for our Auto-Notify Facility to receive notes for sale leads under our Mortgages for Sale section. Then, you can Place Your Listing in our Mortgage and Note Brokers and Buyers section. Learn about making money in the Note Broking business Mortgage and Real Estate Learning. Learn How to Use a Financial Calculator. Questions to ask Note Investors. Check out our Mortgage and Deed of Trust Purchase Forms.